In light of the future 1970's CNJ Southern Division Pack being worked on by Chris Parker (ConductorChris) at BLW/ZT. And with the grace of Steve Durham (Literalman) the creator of the Blue Comet Lines Route. I have the OK to upgrade the BCL route to a more modern era for future release here at T-S. The route will be based from the late 1960's to around 2000. Before I go further I want to say all historical track will be left in place. Not comfortable enough yet to play with the .tdb yet even with TSRE5. 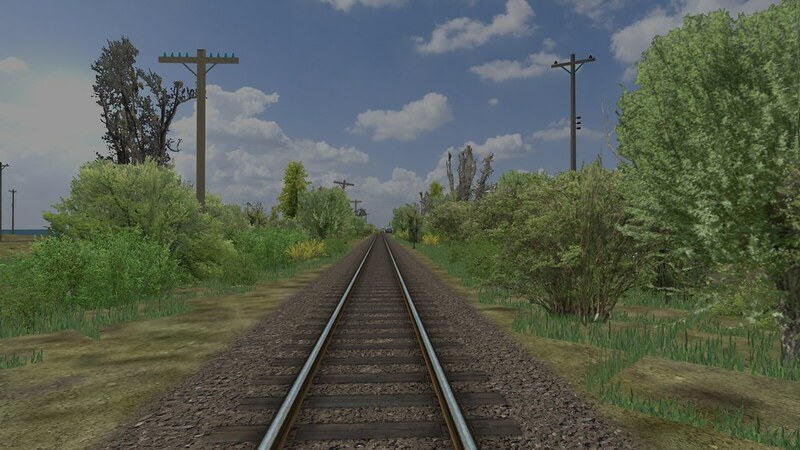 I know some of the track in the route in reality has been gone since 1935 (1935 is the Island Heights extension of the PRR's Atlantic & Long Branch line is to name one). Those lines would be modernized to look like the era mentioned. This way one can create activities for a "What Could Have Been" fantasy run (NJT, CR, etc.). Many of us who study these lines over the years think of "What Could Have Been" from time to time. 1) Electrification of the NY&LB (Today's NJT NJCL) to Long Branch. 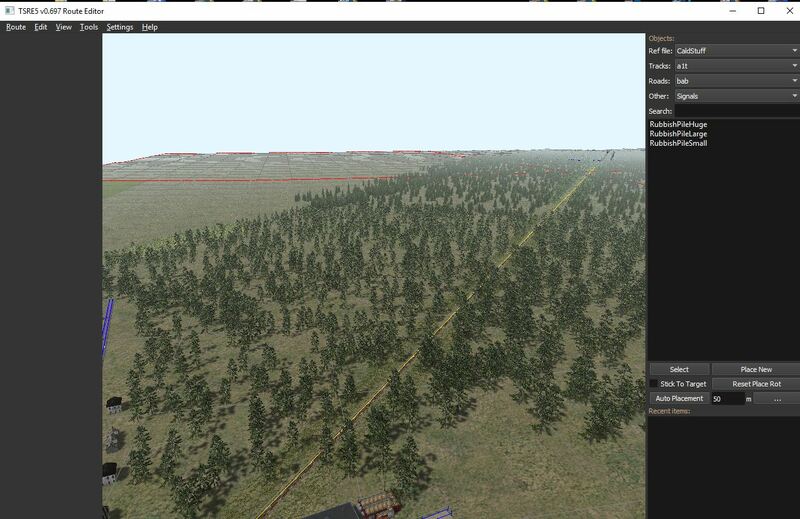 This way you can run Tiger Trains wonderful NJT Trainset & KLW's NJT Comets & Geeps. 3) Major roads & highways like The Garden State Parkway (GSP), NJ Turnpike (NJT), Atlantic City Expressway (ACE), Routes 9, 34, 35, 36, 37, 40, 72, 206 & others. Plus County Roads & local streets. All will have correct custom made signage. 4) Renamed sidings for the era so activities will reflect industries the era correctly (Sample: Manetta Mfg. in S. Lakewood will now be Level Line Windows). 5) Certain stations on all the routes will be deleted from timetables (Sample: Da Costa & Elwood stations on the PRSL will be taken out of service (OOS). 6) There will be sets of activities included for both just freeware D/L's & just Payware downloads included. Old activities for the original version will no longer work because of the change in names of sidings & deleting of station. At a future time, I will rework the ones I made that are in the T-S D/L library for use with this version. These are just a few of the changes instore for it. Like I stated, I am not changing the .tdb because of really not being that advanced yet that I feel comfortable doing that, same thing with the signaling. Those will stay current for the time being. Some have asked about me then releasing my modified version I post with screenshots from time to time on the forum. I really can't because that version does have loads of payware objects in it. The task to sort through it would be great. It would be just easier to do it this way & not have to worry about filtering out and replacing the objects. Being I am going to have enough time for an upcoming surgery, I should progressing on this at a fairly good pace with using TSRE5. I been cleaning out some things I won't be using in the route and adding scenery objects that will be in the upgraded route. I included a few screenshots of the Jersey City Terminal that I started upgrading last night. I just started working on it for about 4 hours. This area is far from done but it gives you an idea what is instore. 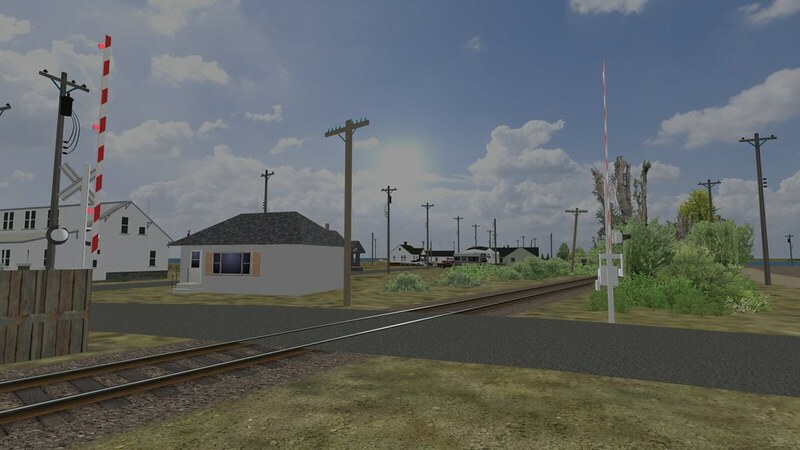 It is suppose to reflect the CNJ terminal just before it was abandoned in April 1967 with the induction of the Aldene Plan (When all CNJ commuter trains were rerouted to Penn Station, Newark.). 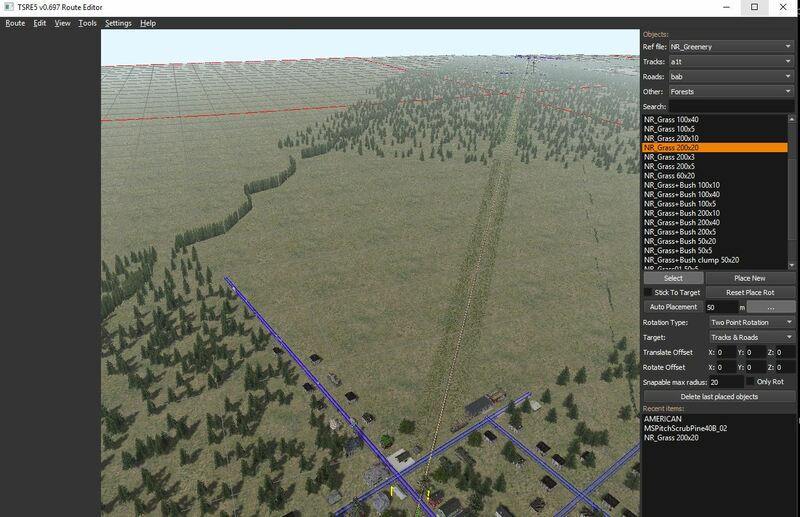 This version will expand the BCL for use of a lot of roads. 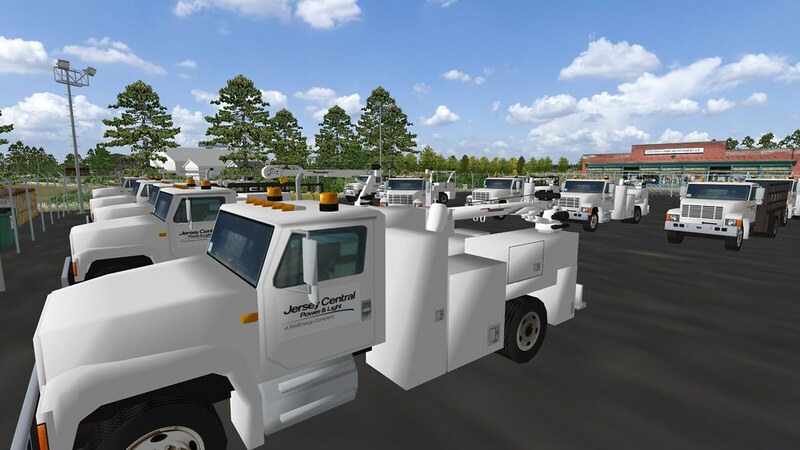 You can run CNJ, PRR, PC, LV, RDG, PRSL, CR, NJDOT / NJT, CRCX, TRR, SRRNJ, SFL with no problem. 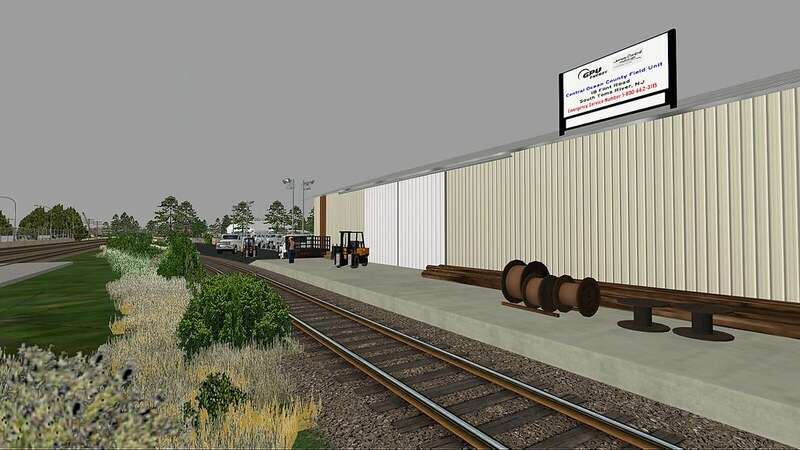 First four screenshots are of the CNJ passenger terminal trainshed yard area. 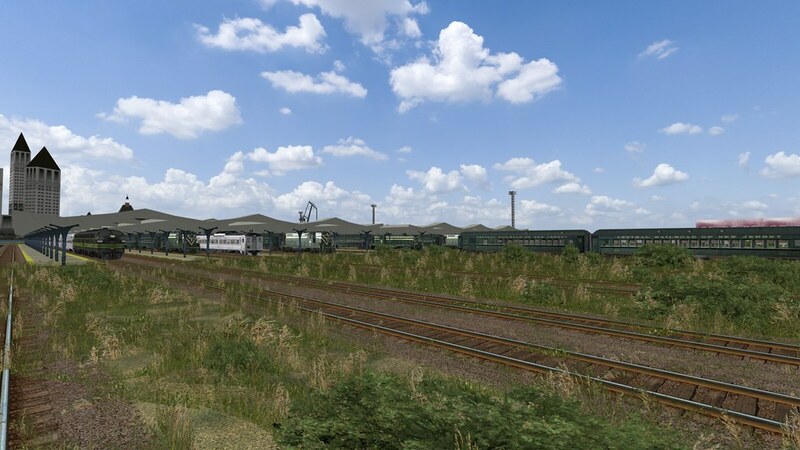 By 1967 prior to abandonment, the yard by the largest Bush Trainshed was very overgrown. At 12:01 AM May 1, 1967 the terminal for both rail and ferry service to NYC will fall silent for good with the Aldene Plan going into effect. A lone CNJ Geep & hack sit quietly next to Tower "A" in the terminal yard for its next assignment working the car float area of the yard. 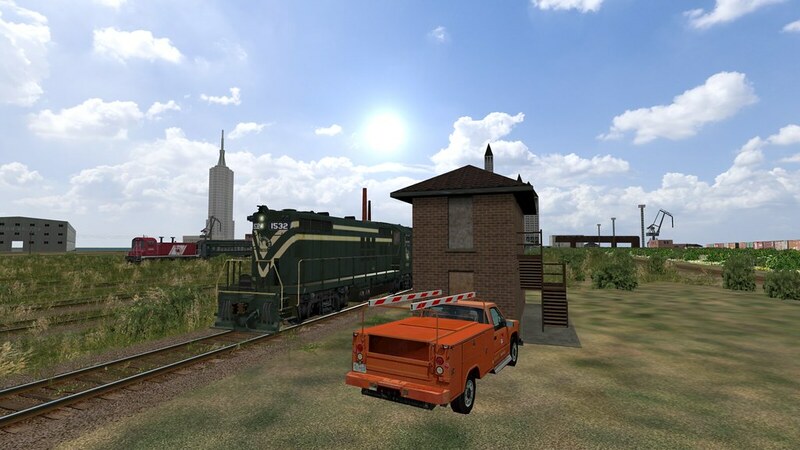 Tower "A" controlled all movements into the trainshed and to the engine facility just to the north. A view from the jetty of the ferry terminal building shows the CNJ terminal's Bush Trainshed & REA - Freight House to the left. On the right is the Lehigh Valley's yard & carfloat. A lot of people don't know that the LV operated the yard & carfloat on the north side of Johnston Ave. This worked in conjunction with the LV at Greenville Yard & National Docks. Being on the Hudson & on the Morris Canal. The LV had a lot of marine traffic here. This are was greatly used after the 1916 "Black Tom" incident. 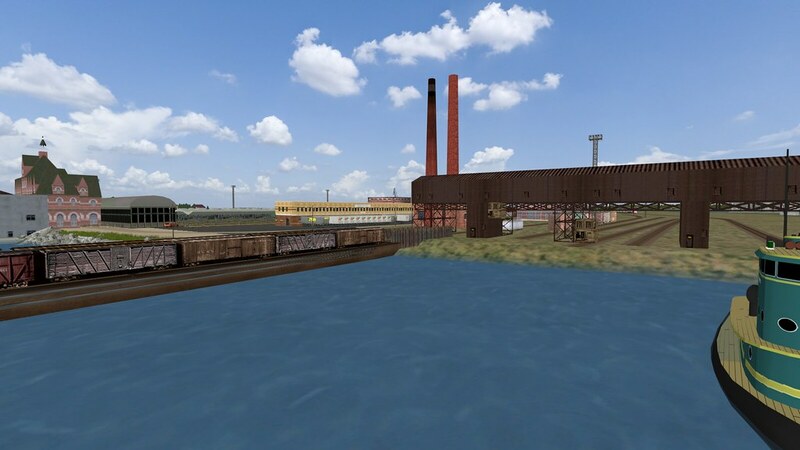 LV's Black Tom - Caven Point yard & docks were just south of the CNJ's main freight & marine yards & terminal. On the morning of July 30, 1916 a munitions explosion by an act of sabotage by the Germans at the LV pier leveled the area around the pier, even dented the Statue of Liberty (The scars are still seen today), turned over cars in both the CNJ & LV yards & cause damage to the passenger terminal. My grandfather told me it even blew out windows on my house & my street in Garfield, NJ some 22 miles away. This was a the first act of terrorism on U.S. soil in history. A view of the LV's carfloats & CNJ terminal. This LV operated this carfloat & yard right up to its inception into Conrail in 1976. Conrail operated it for a few years afterwards. A broader view of the area from the Hudson River. The powerhouse on the LV side of Johnston Ave was part of the CNJ. 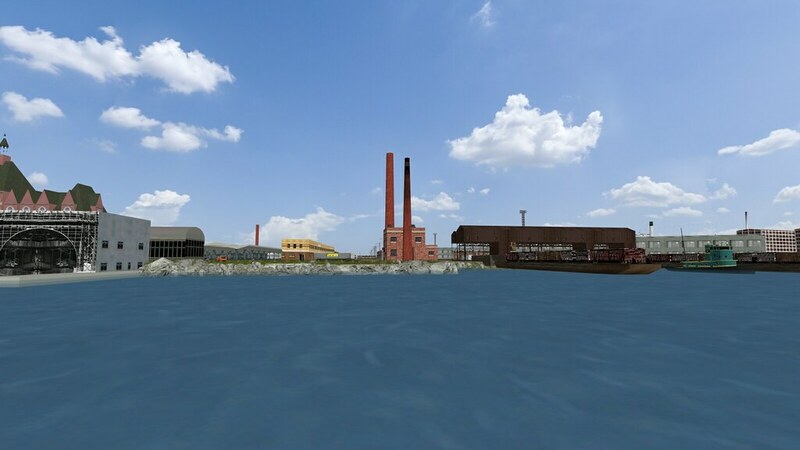 The powerhouse & the long REA building was suppose to be incorporated as part of Liberty State Park. But to cut cost their were taken down. The ferry building to the left was suppose to be too. It even got a new roof & structural upgrading by 1980, but the copper sheathing on the water side was taken down to be repaired & cleaned to its Verde look when all of a sudden it disappeared. Hummmm? 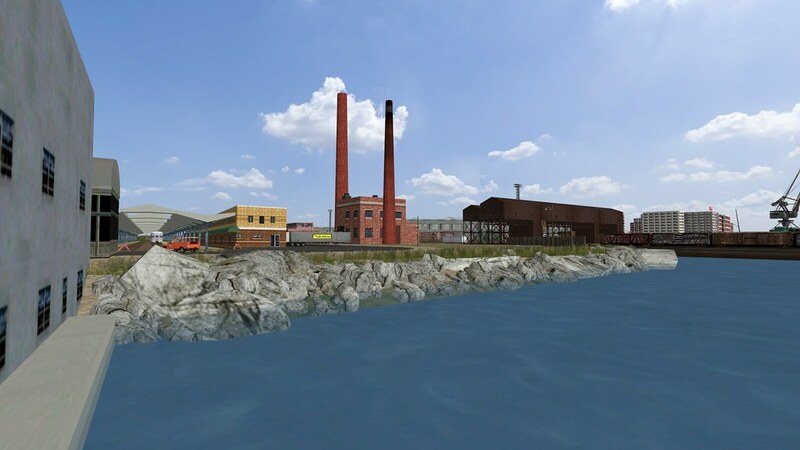 Actually the building shown here that Teemu made is the version with the missing copper. A lone CNJ ferry waiting to depart for the CNJ's West Street Ferry Terminal in NYC. The former ferry terminal on the NYC side became property for the World Trade Center site which construction started in later 1967. Like the Era you've chosen. Also it's a good idea to keep track that's long gone in the real world. 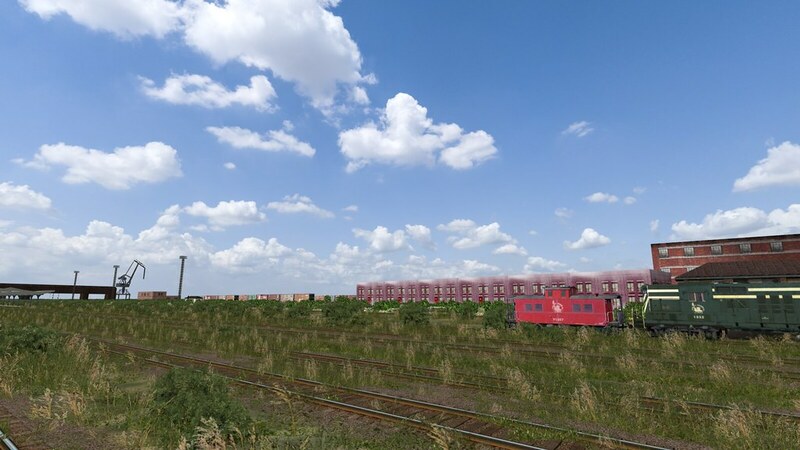 Most youngsters don't appreciate that the current traffic and consists on most modern railways and railroads has lead to the removal of all sorts of track and facilities that are irrelevant or unusable to modern traffic. It's always been a frustration to those of us who don't have route building skills (and/or the time they take) that many excellent routes could do with a makeover, era change, or even just greater scenery depth. It's been done with many routes already but there are some that just cry out for alternative versions. 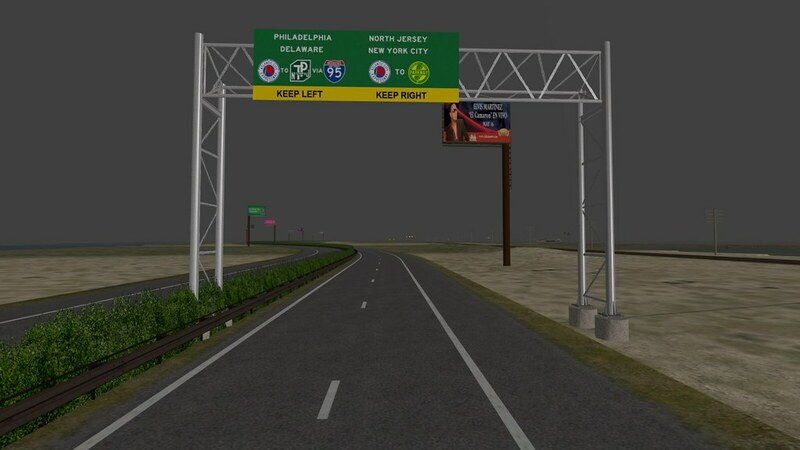 The latest is I been making a few of the road and highway signs needed for the south and central NJ areas. Plus making some billboards unique for the eras too. I have a total of 10 areas I am starting off with first on the route. I keep a log so I know which areas I am upgrading so I don't miss and go "opps" later down the line. Here are a few screens of some of the progress I have done so far. This is the South Toms River area on the Barnegat Branch of the CNJ. After the branch was formally abandoned in 1985, the area near the former freight house became a field unit for Jersey Central Power & Light which was part of GPU (You know, the people who brought you Three Mile Island.). This next two screens are of the JCP&L Field Unit. This is the town of Ocean Gate that is on both the Barnegat Bay & the Toms River. The town is the last stop before the Barnegat Bay Bridge on the PRR's Atlantic & Long Branch Division. The area is full of summer homes & bungalows plus boat rentals for crabbing. Up into the mid 1990's AT&T had a international call switching station on the point where the bay meets the river. That will be included too. 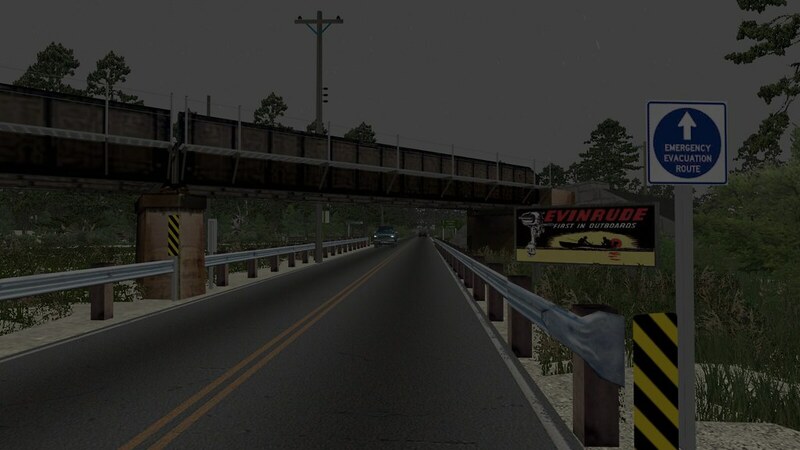 I started putting in the Atlantic City Expressway (ACE), the main toll road that connects the Philadelphia - Camden area to Atlantic City. It also intersects with the NJ Turnpike (NJT) & the Garden State Parkway (GSP). It also mostly runs parallel with the PRSL mainline for 50+ miles. I also started making the custom signage for it too. Last is that of the CNJ Southern Division on the Woodland Township. The tracks here cross NJ State Highway 72 & the trestle is a common sight for people heading to Long Beach Island (LBI) in the summer. Seeing the trestle means only 14 miles to the causeway bridge & then sun-n-fun. The area is loaded with scrub pines as this is the heart of the NJ Pine Barrens. 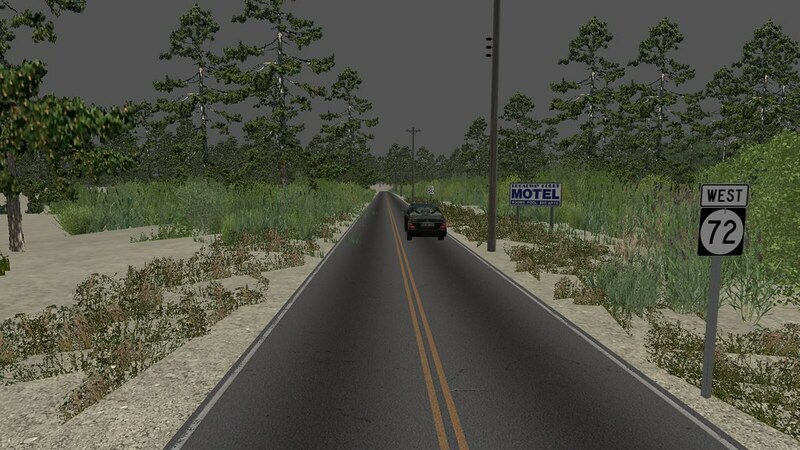 In fact south of Lakehurst, this is most of the scenery along the Southern Division. So I will be redone all the Pine Barren area with Michael Stephan's great scrub pine trees like you see here. Looking further west past the trestle & Savoy Blvd. Looking east toward Manahawkin & Long Beach Island (LBI) at Savoy Blvd. & the trestle that crosses NJ Route 72. The custom road signs show where the roads go. A nice little added detail to the upgrade. Is the Jersey Devil hiding in there someplace? He is lurking somewhere in there Robert. Probably off of Jimmy Leeds Road near the PRSL mainline. The Jersey Devil is also known as the "Leeds Devil" & that road is named after one of the family members. 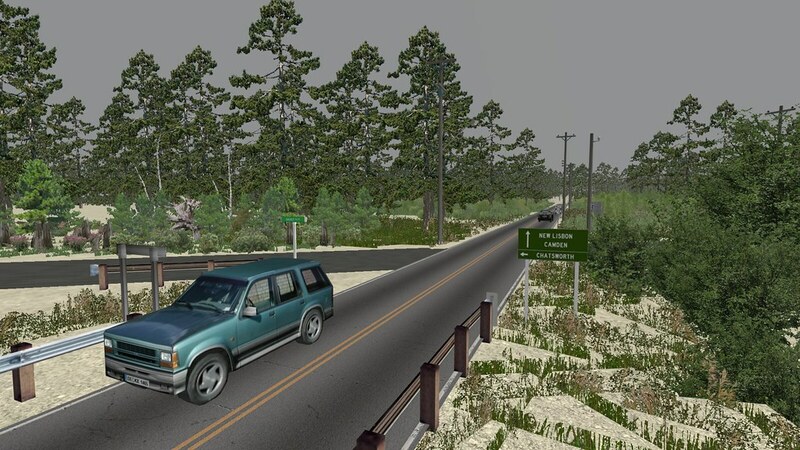 And I am putting the road in the route, so Mother Leeds' 13th child will be roaming the pine barrens once again. I like that Scott. Put Chris & Paulie Walnuts right around the desolate area where the tracks go through Lebanon State Park. 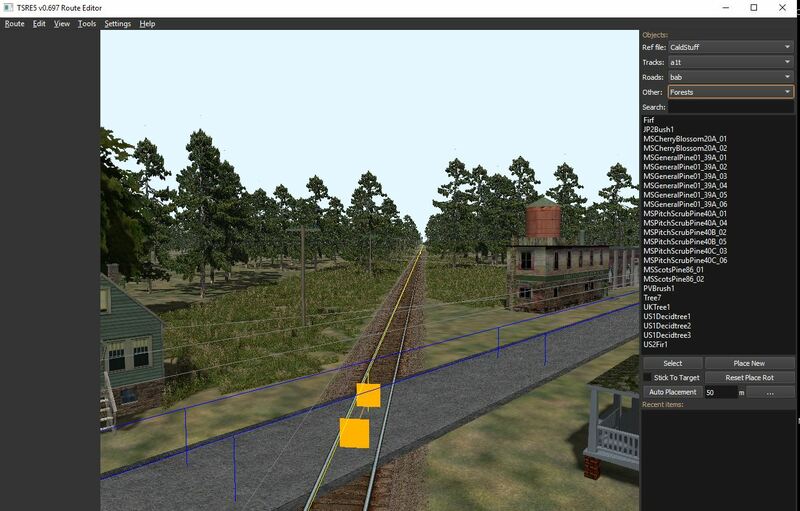 Little "Easter Eggs" like that are fun like on the PRR-ER route. Mark, I will keep an eye out for him. The pinelands area is actually from mid Monmouth County to Cape May & west to the Delaware River. So yes, a lot of scrubs to put in along with a few Birch, Ash, Larch, Chestnut & Oak trees sparsely. One thing TSRE5 makes placing the object with more control. But like to have it where it doesn't have to layer multiple types of trees & ground cover. But I won't complain. 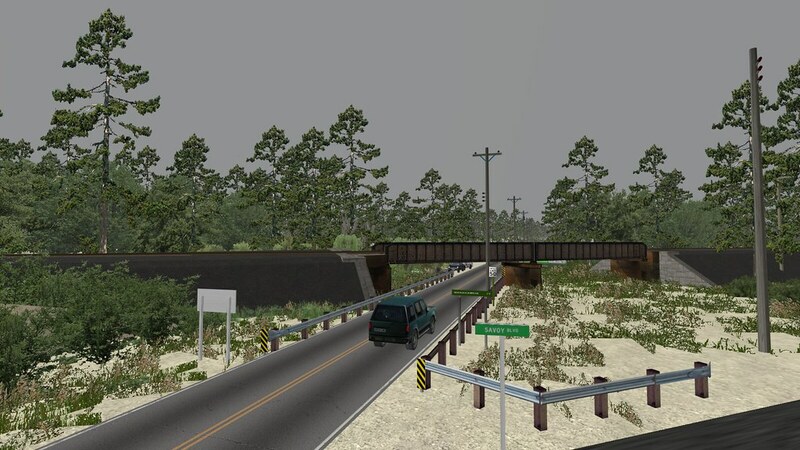 This is the Chatsworth, NJ area on the route I was redoing last night. It is actually built up less here now that it was in 1929. That was during the big cranberry harvesting & bog iron times down here. Going to bring the pines towards the end of the tile like I did in my private version to bring it depth. OR handles it quite nicely.